It is one of the great delights of landscape project design that the results change entirely as the project morphs ‘into itself’ over time. 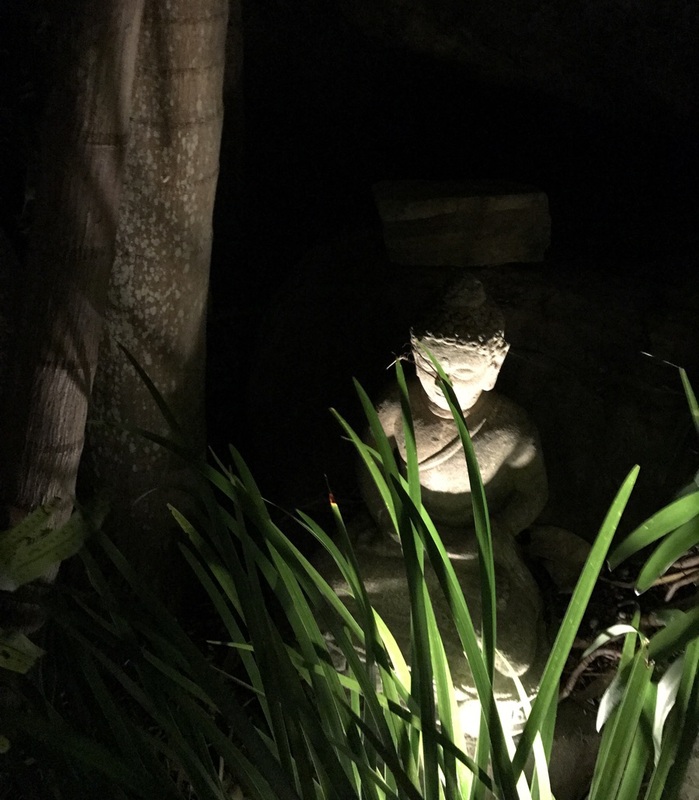 Planting grows in, stone acquires its patina and everything takes on a more natural feel as seasons pass, while a new version emerges once the sun goes down. 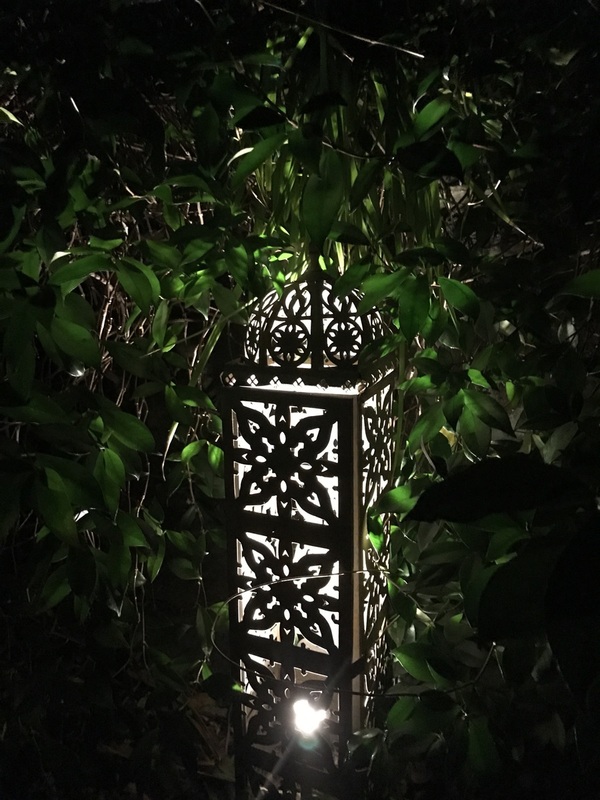 A whole new visual scene is experienced particularly with the use of lighting design through gardens, on walls and throughout external spaces. 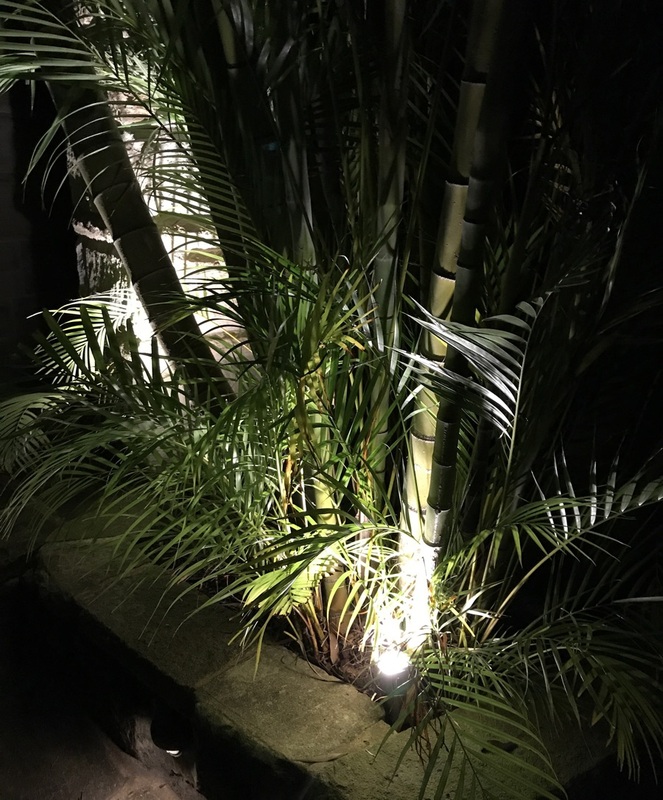 Some recent lighting upgrades to one of DBLS’s projects required documenting to see the spectacular effects that can be gained from careful placement of ambient lighting. This beautiful Sydney home has Moroccan and Indian influences throughout and features DBLS sandstone. The site itself is a wildlife corridor where powerful owls, monitor lizards, micro bats and marsupials and native birdlife are regularly seen. For the owners keeping night lighting soft was crucial to not disturb the local animals and nor unnecessarily attract insects. The rustic lighting was sourced without electrical fittings and converted to waterproof LED. Cabling was chased in, in some cases retrospectively. Once installed, the lighting’s effects highlight the myriad of secret spots found in this amazing location. Stone and pebble pathways lead to the external stairs where copper ambient lighting highlights the large natural bedrocks and stone carvings found throughout the property. Indian wall niches from Jaipur and Jodhpur were installed into sandstone walls and used for candles after dark — shadows cast add to the ambience as visitors arrive. During the daytime, the same fixtures also work by utilizing sunlight as it moves so the effects of surface textures are maximized to create visual impact.